How do you organize your Cutlery Drawer? 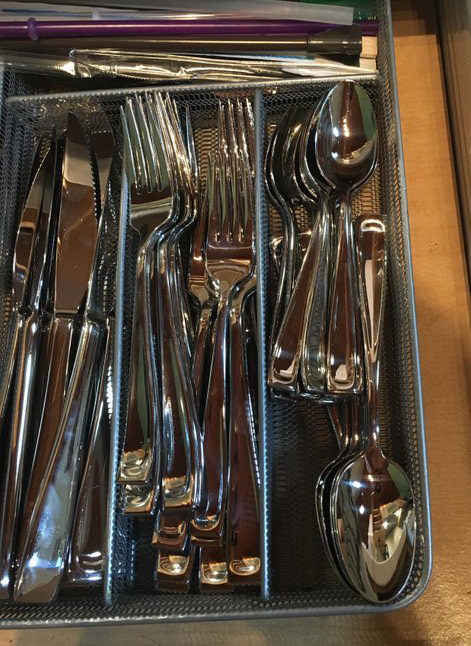 The Internet is alight with fevered discussions about how to organize your cutlery drawer. The picture above shows something we have never thought of. It’s a great way to fit two different sized spoons into the same spot. But the discussion continues on whether the forks go on the left or this question: “Hold up, do you place the head of the cutlery towards the drawer handle or the back of the drawer?”. So where do your forks, knives and spoons go to sleep? And what about all the other kitchen stuff? There is a great article about this discussion on the Stuff website. This is an amazing mixture of art meets charity meets cutlery. A special dinner was put together for Smile Asia, a non-profit organization which specializes in treatment and care for the more than the more than 100,000 children born each year in Asia with cleft lip, cleft palate and other facial deformities. This fancy four-course meal at the Ritz-Carlton hotel with food prepared by chef Massimo Pasquarelli had a special message and a unique way of using flatware to deliver it. Please watch the video above to see how this event was able to make itself heard very clearly. 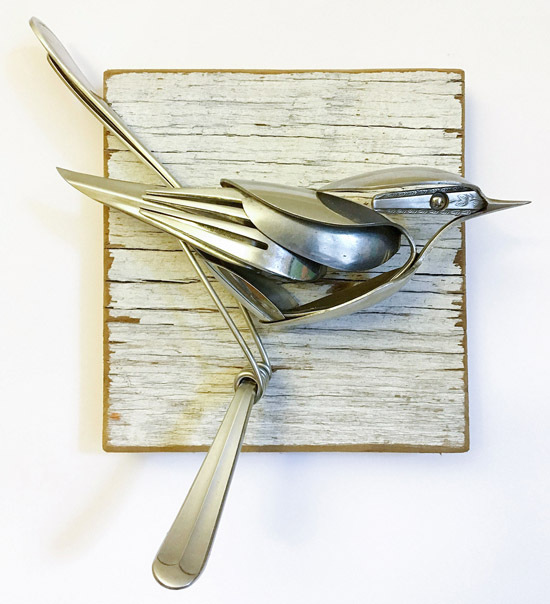 Just to be clear, I named them Fork Birds not the artist. And the artist is Matt Wilson from South-Carolina. Such a simple concept using the old forks, knives and spoons and some recycled lumber. Yes a simple concept but so elegant and wondrous in it’s execution. This flying flatware shows a creative eye for design and an innate understanding of the subjects. He does shrimp, fish and seahorses too!